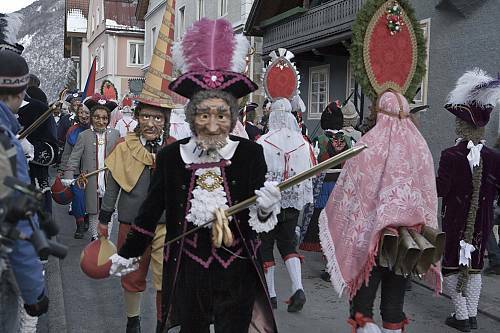 Every four years the city of Imst in Austria celebrates its Fasnacht carnival on the Sunday before the Christian season of Lent. 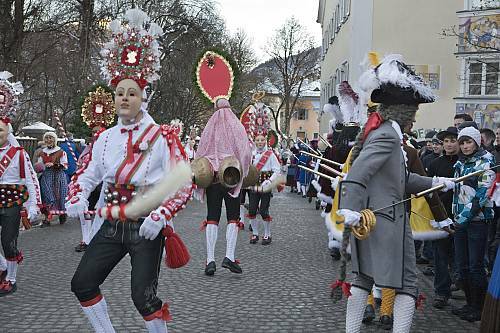 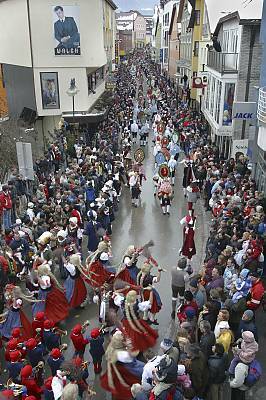 The central festivity is Schemenlaufen, a procession of masked, costumed dancers. 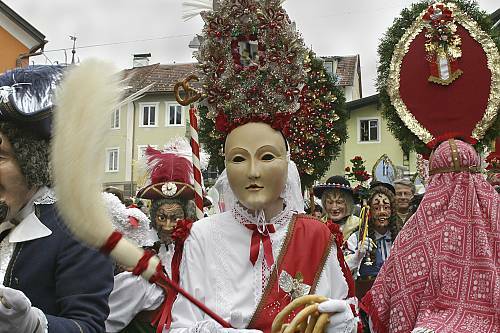 The main characters are in pairs, one man wearing rotating bells and another wearing larger bells weighing up to 35 kg. 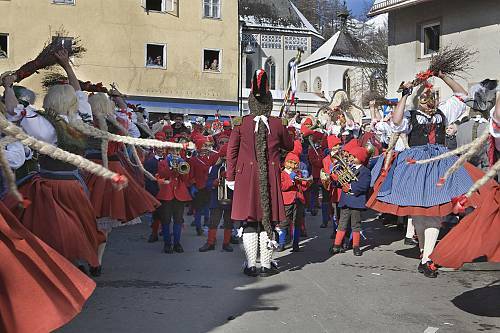 Together, they perform a special dance of jumps and bows, with the bells producing a mix of high and low tones. 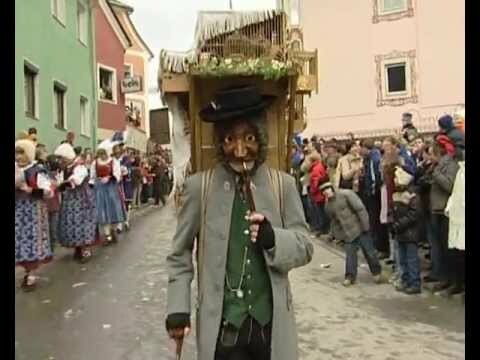 A total of fifty-five such couples participate, while other masked characters slowly imitate their dance. 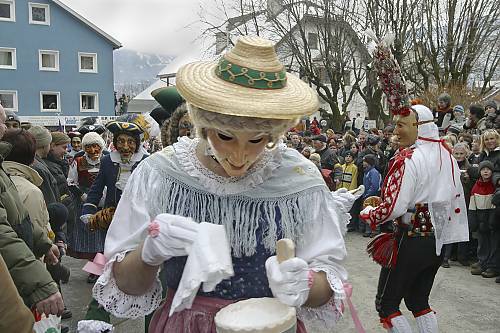 Yet other characters maintain order by softly hitting or splashing the audience with water, while a young girl throws scented powder into the audience. 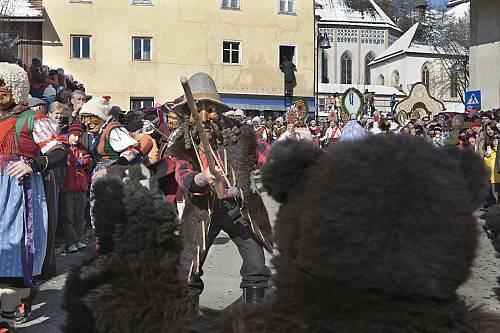 Masked chimney-sweeps climb houses in feats of bravery, witches shout at the audience accompanied by a band playing dissonant melodies, and white or brown bears demonstrate their strength. 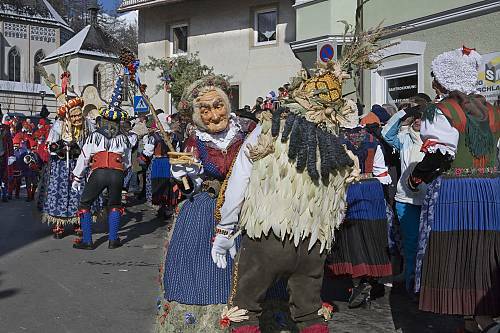 The carnival unites the whole population of Imst in a common goal: organizing the Fasnacht in accordance with long-standing tradition. 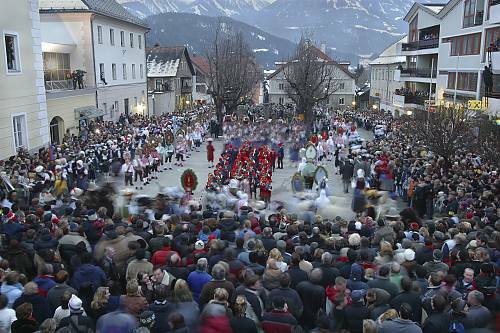 Inhabitants of Imst, particularly women, are schooled in the techniques for making Schemenlaufen costumes, while local blacksmiths forge the bells. 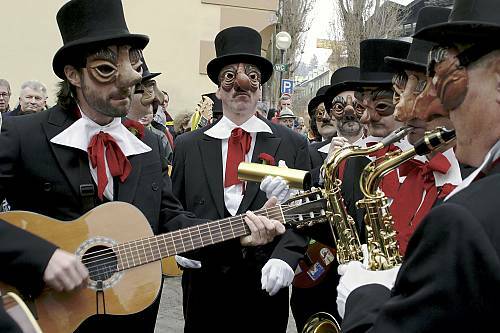 Everybody may carve wooden masks and knowledge of traditional craftsmanship is usually passed on within the family or taught in special courses.